The following profiles of the founder members of St. Maurs were compiled by Seamus Clerkin and were presented to the club in picture form at the annual mass for deceased members of St. Maurs on June 2003. Our 75th anniversary year. Family members of the founders were also presented with a Dublin Crystal Rose Bowl commemorating the foundation of the Club.Many thanks to Seamus for providing the information. Founder Member St. Maurs - 28th June 1928. A native of Derrymullen Co. Galway, Peter was mainly responsible for reforming the St. Maur's G.F.C. 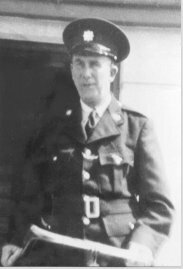 in 1928, while serving as a member of the Garda SiochÃ¡na in Rush. Peter went to St. Grellan's National School. One of the teachers, Sean Keating, from Fethard Co. Tipperary, was very interested in Gaelic Football and was Secretary of the local G.A.A. Club. In 1910 Jim Tully from Derrymullen, a close neighbour, was selected on the Galway Senior Football team which beat Roscommon in the Connaught Final in Athlone on 8th October 1910. Jim won provincial medals for Galway again in 1911 & 1914. Jack Fallon, Peter's brother and Inter-county Referee, was very dedicated to football. He was a member of the Galway Football Board and he represented Galway at the Connaught Council. It was against this background that Peter Fallon got involved in football Ballinasloe won the Galway County Championship from 1913 to 1919 and all of this time Peter Fallon played half-forward on the great seven-in-a-row team. From 1919 to 1926 Ballinasloe remained unbeaten but because of the Civil War some of the county championships were not completed. Peter Fallon was a sub on the Galway side that defeated Roscommon in Tuam on 10th August 1919 in the Connaught Final. They beat Kerry in a replay but were beaten by Kildare in the All-Ireland Final, now known as the Larry Stanley Final. There was no championship in 1921 but in 1922 Galway were beaten by Sligo. Galway objected and a replay took place at Croke Park, which Galway won. Peter Fallon was a sub on this team. Mayo beat Galway in 1923 & 1924. In 1925 Mayo represented Connaught in the All-Ireland Semi-Final which they won beating Wexford. However, there were objections and counter objections with the results that Mayo were the only team left in the All-Ireland championship. As Galway had qualified for the Connaught Final beating Leitrim in a replay, they were deemed to be eligible to contest the Connaught Final against Mayo. The Connaught Final fixed for Parkmore, Tuam resulted in victory for Galway. With no one else to play against in the championship Galway were deemed to be All-Ireland Champions. Peter played full-forward on the St. Maur's team that won the Division 3 Championship 1928/29 & and won the Division 2 Championship in 1929/30. His advice to young players is to keep practicing, as there is always something new to be learned every time you take to the field. Any record of G.A.A activities in Rush would not be complete without reference to Mick Jones, a man who has a long connection with Gaelic Football and St. Maurs. Always keen to establish a Gaelic Football club in the town, he was one of the prime movers in the re-organisation of the club in 1928. Mick was a well-known Rush victualler, proprietor of a prosperous and thriving business. Not so prominent as a footballer, perhaps, Mick's talents lay more in the theoretical end of the game and as a Legislator in the Council Chambers; he had few equals in the county. He took an interest in Gaelic Football when he came to Balbriggan in 1911 as an apprentice to the late Mr. J. Corcoran, Drogheda Street. He was one of the original members of Balbriggan Commercials and when he returned to his native Rush, he adapted for the colours of the Rush Club, the same as those worn by Commercials - white with a green sash. In 1921, when St. Maurs were reorganized, Mick was Chairman and selector-in-chief, but as usual he forgot to select himself and it was only when someone failed to turn up, could he be prevailed upon to turn out. As a goalie, he was top class. The reason he did not continue as a player was because he had not enough time to train properly and it gave him greater satisfaction to see the younger men out. The Club lapsed for a couple of years and in 1928, with the help of Garda Fallon, a Galwayman, and Garda McCarville of Monaghan, St. Maur's Club was reformed and Mick was unanimously elected Chairman. A position he held with distinction for twenty-one years. During his tenure, the Club gained many successes but none gave him as much enjoyment as the Fingal League Div. III victory in 1928. 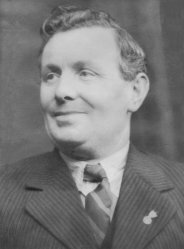 For many years he represented St. Maurs at the Fingal League and in 1937 he was elected chairman of that body. He held this position for seventeen years, during which time he won the acclaim of all for his fair rulings and wise counsels. A sound Gael, Mick must surely rank as "one of the best". Tommy McCarville was born in Crossreagh, Newbliss, County Monaghan, in the year 1900. He attended the local Rawdeer Park National School. Secondary education in those was non-existent so the only option was to stay on in Primary School until one was seventeen years of age and act as a monitor to the Headmaster. Tommy followed this pattern with the intention of becoming a teacher but changed his mind when the New Irish Government of the 1920's set up the Garda SiochÃ¡na to replace the Royal Irish Constabulary. Tommy became a Garda and received his first appointment in Rush. It was during his time in Rush that he became one of the founders of St. Maurs G.A.A club. He was transferred from Rush to Coolock and ended his Garda career in Howth. One of a family of nine, Tommy married Ellen Carr from Balgaddy near Naul. They had a family of three boys and four girls. Ellen McCarville lived all her life in the family home at Baldoyle and many times before Tommy's death in 1977; she had heard him praise Rush people as the most friendly he had ever met. St. Maurs G.A.A Club is proud to remember him.